Home » Almighty God , Bible , Eastern Lightning , end-time , Faith , the church of Almighty God » God is ever unchanging. 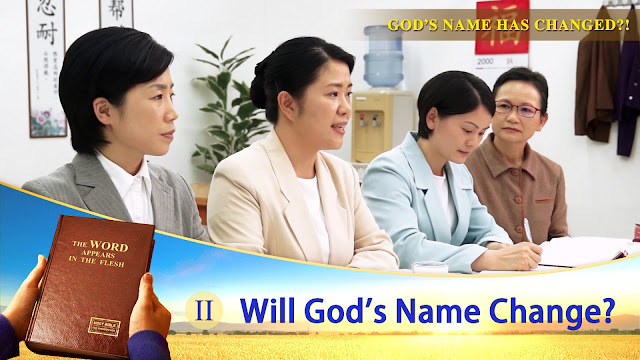 Then how can the Lord Jesus change His name to Almighty God? “Each time God arrives on earth, He shall change His name, His gender, His image, and His work; He does not repeat His work, and He is always new and never old. When He came before, He was called Jesus; could He still be called Jesus when He comes again this time? When He came before, He was male; could He be male again this time? His work when He came during the Age of Grace was to be nailed to the cross; when He comes again will He still redeem mankind from sin? Will He still be nailed to a cross? Would that not be a repetition of His work? Did you not know that God is always new and never old? There are those who say that God is immutable. That is correct, but it refers to the immutability of God’s disposition and substance. Changes in His name and work do not prove that His substance has altered; in other words, God will always be God, and this will never change. If you say that the work of God always stays the same, then would He be able to finish His six-thousand-year management plan? You merely know that God is forever unchanging, but do you know that God is always new and never old? If the work of God never changed, then could He have brought mankind to today? 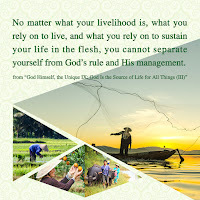 If God is immutable, then why is it that He has already done the work of two ages? His work is always progressing forward, and so His disposition is gradually revealed to man, and what is revealed is His inherent disposition. 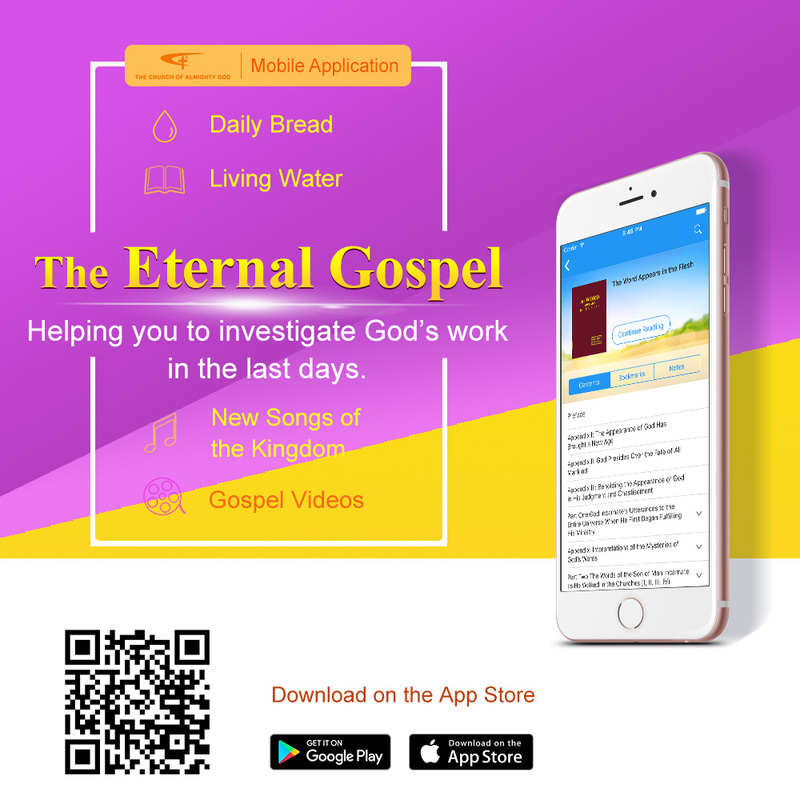 In the beginning, God’s disposition was hidden from man, He never openly revealed His disposition to man, and man had no knowledge of Him, so He used His work to gradually reveal His disposition to man, but this does not mean that His disposition changes in each age. It is not the case that God’s disposition is constantly changing because His will is always changing. Rather, because the work of God is carried out in different ages, His inherent disposition in its entirety is gradually revealed to man, so that man is able to know Him. But this is by no means proof that God originally has no particular disposition and His disposition has gradually changed with the passing of the ages—such belief is nonsense. God reveals to man His inherent, particular disposition, what He is, according to the passing of the ages. The work of a single age cannot express the entire disposition of God. And so, the words ‘God is always new and never old’ are in reference to His work, and the words ‘God is immutable’ are in regard to what God inherently has and is. Regardless, you cannot define the six-thousand-year work in one point, or portray it with mere static words. Such is the stupidity of man. God is not as simple as man imagines, and His work will not stop in one age. Jehovah, for example, will not always stand for the name of God; God also does His work under the name of Jesus, which is a symbol of how God’s work is always progressing forward.